The recent execution of Cecil the Lion in Zimbabwe by dentist Walter Palmer has created a media firestorm and a general outcry of anguish and anger throughout the world. If you were to ask most people they would like to raise Cecil from the dead and put him back in his protected reserve to live out his happy life. Unfortunately such is not to be the case. However, the death of Cecil has made me stop to ponder what his death and its subsequent publicity really means. 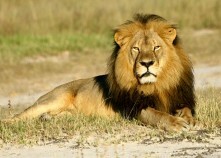 Until now the killing of other lions and big cats has not created such publicity and anger. Why now? Are we really finally becoming aware that big game hunting is a bad thing? Will Cecil’s death lead to real attitudinal change or we just experiencing another simple media news spike? During the past year we have experienced many white police shootings of black civilians, many of whom were unarmed. While those killings brought similar media “awareness”, in some senses they all pail to Cecil’s killing which has gone so viral and now has led to an international situation with Zimbabwe’s extradition demand of Dr. Palmer. With all the killing of people and big game what real change has come about? No real change as the killings continue. In the Sunday New York Times an article appeared entitled “Training Officers to Shoot First, and He Will Answer Questions Later” by by MATT APUZZO which describes how police officers are being conditioned to shoot even without certain proof that a suspect is pulling a gun and that such actions are being justified in the courts. While the article does not say so in so many words it is also interesting to note that most of the shootings are of black people by white police. The death of Cecil might lead to a more substantial enforcement of prohibitions against big game hunting, but it is not changing basic attitudes. I could make the case that too many black people have been “hunted” by white police in a time when we are supposed to be tolerant and are living in a racial inclusive society. Unfortunately, whether it be the death of a lion, the wrongful deaths of our citizens at the hands of those who are to protect us, or even the lack of real inclusion in our world of those who are different than us we are not making basic change. We are more talk and less action. My wife, a former public school teacher, put it best. “All the killing wants me to demand a timeout where everyone stops and takes time to just talk and, more important, listen.” Even our “leaders” in Washington go along, business as usual, only looking for a sound bite opportunity and not modeling good behavior for the rest of us. It is time for all of us to take a step back, look at our collective actions and create real solutions to stop the killing and intolerance around us. We must begin acting like the superior beings we think ourselves to be. So, how do you unkill a lion? You cannot. You simply don’t kill it in the first place. This entry was posted in Advocacy, Diversity and Inclusion, Michael Hingson Articles, News and Current Events, Newsletters, Publications by Mike Hingson. Bookmark the permalink. Basic attitudes change when people allow themselves opportunity to relate to one another in-depth. Sometimes we resent the paid professionals who are supposed to protect us but who make error judgments on the job. How many of us personally know a volunteer law enforcement officer? How many of us have had extended conversations with them or with their families? Their lives are endangered every time they wear their uniforms in public. Some of them risk their lives this way and are never paid 1 cent for their devotion. They don’t even get life insurance paid for with tax dollars. They are volunteers. They pay for their own academy training and buy their own weapons, uniforms and some electronic equipment. In the academy training where they “get to” experienced being tazed and bruised, frisked, and humiliated. After graduation they get to approach a stopped car with darkened windows, alone, and not knowing whether it is occupied by one adult and three children or by four adults with machine guns. They “get to” sit in patrol cars for hours of boredom punctuated with sheer terror. They do this work, because someone has to, and because our taxes don’t provide enough funding for optimal staffing of law enforcement agencies. Under staffing endangers all of us, including paid law enforcement officers. It makes people work under duress without enough time-off. It causes domestic stress in their homes. It causes them to keep a stoic demeanor even when their hearts are pounding in fear. The stoic demeanor keeps them relationally isolated – at least if they are good at it. Some work law enforcement jobs only when off duty from their regular jobs. In my community there is a retired, female volunteer officer who MIGHT weigh 100 pounds dressed in wet clothes. She did this work for no pay, for years and now she gets to live in subsidized housing during her golden years. Most of the time she had a desk job, but she risked her life every day she wore her uniform in public; some people shoot cops just because of the uniform. Is that any different than shooting someone because of skin color? Maybe, it is. You can take-off your uniform, but you cannot take-off your skin. So we see that there is a lot beneath the surface in these issues. This is why we need to step outside our circle of comfort and get to know one another in depth.